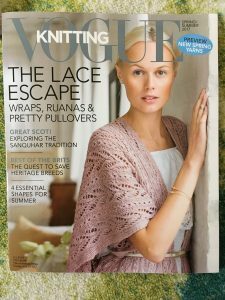 Project Knitwell’s pilot program working with those affected by homelessness at Street Sense was featured in the Spring/Summer 2017 issue of Vogue Knitting. Cynthia, a participant in our knitting group at Street Sense says: “Knitting is very relaxing…it’s peaceful. I can go at my own pace…” To read more, pick up the Spring/Summer issue.